Thanks for the info Vin on this new release. Now it's getting out of hand, but still, I want it. The colour and the cap made from wood tells me it is perhaps a bit (w) oud (y)? Looks like Stronger With You put in the wrong bottle! If they were going for an oud note they would probably ram it down our throat. More likely to have the strong woody notes found in Invictus Intense, the type that smell like burnt rubber. 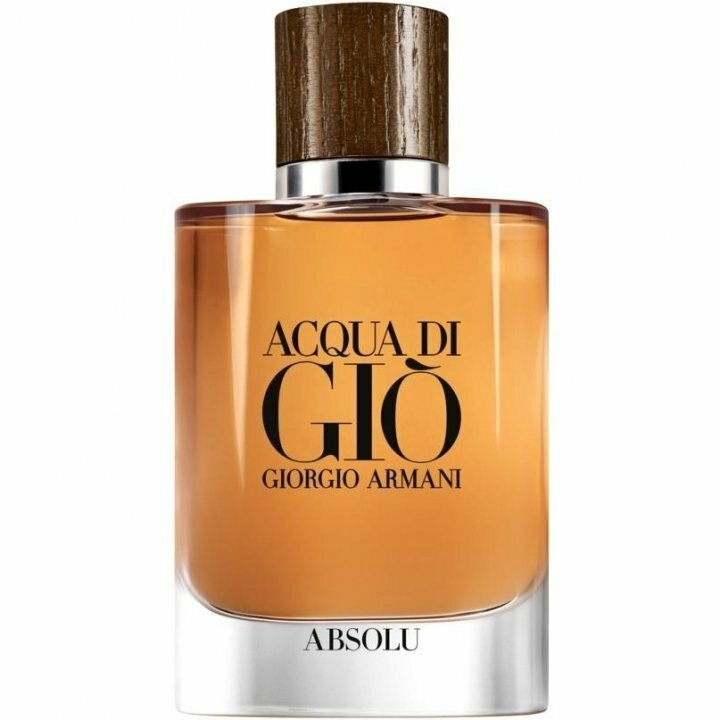 I am not feeling the color of the bottle , does not resonate with the oceanic vibe of the acqua di gio series and reminds me of Stronger with you which I do not like at all. Is it just me or is the whole bottle concept a carbon-copy of Kenneth Cole Signature from a decade ago? It too had a woodgrain cap, clear bottle, and amber juice. I already have mixed feelings about this. I like the color of the juice, but am wary of how the woods and aquatic notes mix. Profumo was a bit of a dog’s breakfast to my nose and would’ve been better without the aquatic notes. Agree 100%. Hopefully this is an improvement over Stronger With You...because I'd shudder to think of the alternative. fruity notes are always worth a shot. Between the original, essenza and profumo, they haven't made a flanker that I dislike. Very interested in this. Acqua Di Gio Absolu is the newest member of the Acqua Di Gio family from Giorgio Armani. The scent is made up of natural wood nuts, sour fruit notes and fresh sea nuts that together create a fragrance sensual, elegant and warm scent. Translation from a Danish site. Wood nuts, sour fruit, and sea nuts......Oy. Something must have gotten lost in translation. So, a more "fruity" AdG? I bet it's a certain orange note that's become popular in the last few years. I'm at least intrigued enough to give it a sniff and hope for the best. Thanks for the info! Interested in giving it a try... might be really nice. It might be bad - but no harm in giving it a shot! My feelings exactly. At this point they're just abusing us. Totally. Insufficient snark. Spare the tomatoes, spoil the designer. Or the right bottle if you're sitting on twice as much as people will buy. I know. Guaranteed sniff. PRAYING I don't like it. Truly woody AdG is just weird to me. But they've really kept the good ones coming, so who knows. I know. I own them all. I do NOT need another one of these now. OK - you go first and then me too. I will try it but my expectations are not very high. (I) am wary of how the woods and aquatic notes mix. Profumo was a bit of a dog’s breakfast to my nose and would’ve been better without the aquatic notes. I'll order this one when it becomes available anyways. It may be a winner. I hope it's heavy like Profumo is on my skin. Fruity is fine, but please for the love of God don't let it have any saccharin sweetness.